Professional sign installation services provide the best quality and peace of mind for your business, delivering long-term results that make a difference. Our local sign company is staffed by experienced electrical contractors who have the training and equipment to get the job done safely and effectively. Our dedication to providing Colorado with the best energy solutions ensures that everything will be done right and according to state and local codes. Our Denver lighting company will work with you every step of the way to deliver an outcome that is sure to meet your high expectations. 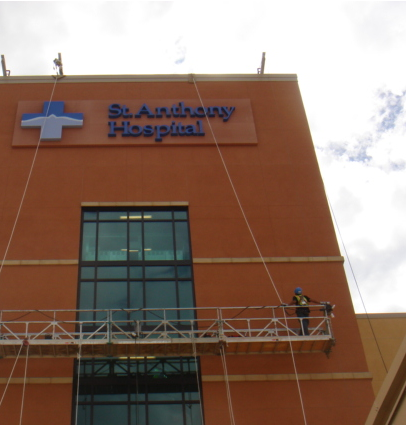 From medical facilities to hotels and more, sign installation needs can vary widely in scope and demand. It falls on you to find a trusted team that can deliver versatile energy services to ensure that your building’s signs are in place, balanced, and safe for everyone. Installation and Removal. 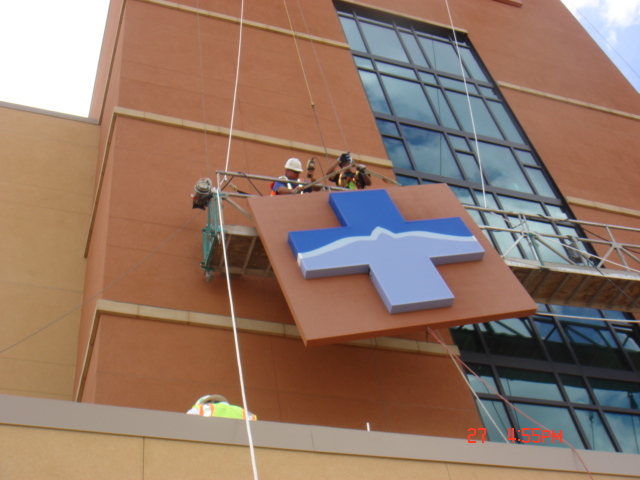 The process of sign installation or removal is a crucial point when it comes to safety. Our lighting contractors will work hard to get the job done quickly and accurately to minimize your company’s downtime while delivering quality visual improvements to boost your business. Sign and Neon Maintenance. In business, it is all about appearances, and Colorado Lighting is here to make sure your company’s brand is represented properly at all times. Our sign company works to be responsive and comprehensive in our approach, taking every measure needed to keep your sign looking brand-new for years to come. We also provide comprehensive care for your neon signs to keep your business front bright for the long term. Large Banner Installation and Removal. Beyond permanent fixtures, we can also work with you to hang and balance large banners for any activity or event. We’ll also remove large banners in a safe and efficient manner. Please go to our gallery page to see our electrical contractors in action or contact us today to see how we can help you! Colorado Lighting is proud to be among Denver’s most qualified energy solution providers.